Trader Joe's incredible brand value was created virtually without advertising. After reading this book you'll know how to replicate that success for yourself. Those are two pretty clear statements, and if the second one is true, it easily justifies the ten bucks it will cost you to download Build a Brand Like Trader Joe's. But you're welcome to read the entire book, and judge the value for yourself. Amazon's got a great, no-questions-asked return policy. If, any time in the week after you buy the book, you decide you don't like it, it's very easy to return it. 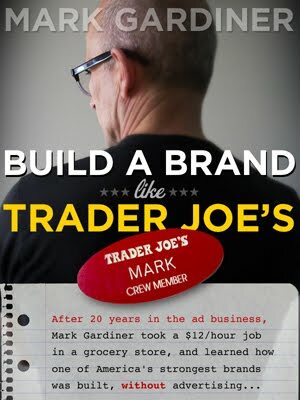 Build a Brand Like Trader Joe's is only 25,000 words long. My goal was to write a book that a business person could download and read on a plane flight, or in a few days on train ride into Manhattan from CT. So it shouldn't take you more than a week to decide whether you want your money back. If you don't think my book was worth ten bucks, please visit Manage Your Kindle, click the actions tab for Build a Brand Like Trader Joe's, and select "Return for refund." If Amazon won't give you your money back, I will. If you wait longer than a week to decide my book wasn't worth ten bucks, fill out this form and I'll send you a groveling apology* via return email. Once you have my email address, forward the receipt that Amazon sent when you purchased Build a Brand Like Trader Joe's. I'll send you a PayPal refund. *exact nature of apology, if any, subject to author mood that day.